Most grids, ex. 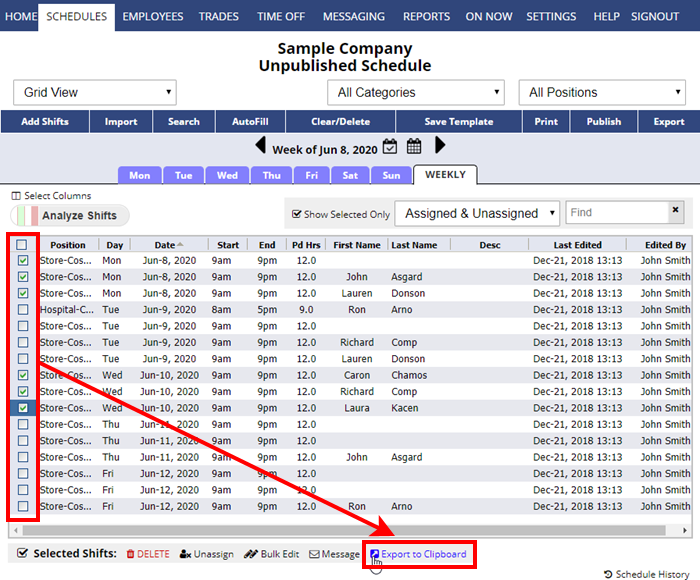 SCHEDULES > Grid View, Employee List, Blocked Time off etc. 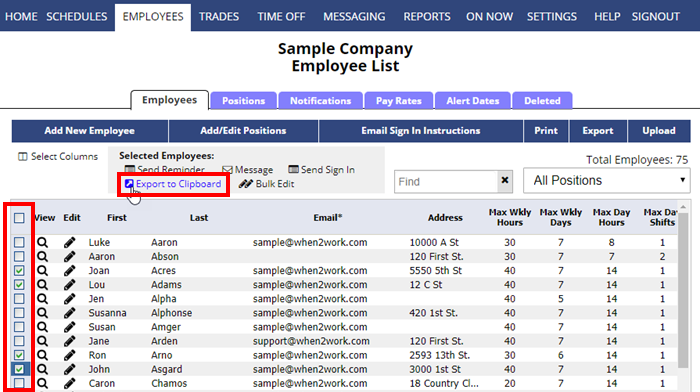 allow you to select some or all rows and then click the “Export to Clipboard” link.